This was how Maribel Ovilla, a visitor of the Marcos mausoleum in Batac City, Ilocos Norte, described how she felt after seeing what she thought was the real body of the late dictator Ferdinand Marcos. Ovilla visited the mausoleum at the Ferdinand E. Marcos Presidential Center in Batac on Friday, November 18. It was the same day Marcos was buried at the Libingan ng mga Bayani (Heroes’ Cemetery) in Manila. 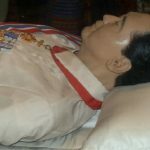 GMA-7 reporter Saleema Refran said Marcos’ wax figure was still encased in a glass coffin at the Batac mausoleum by 11:30 am on Friday, around the same time that the Marcos burial rites began in Manila. While taking video was prohibited inside the mausoleum, Refran reported that guests and she herself saw the Marcos figure there on Friday. 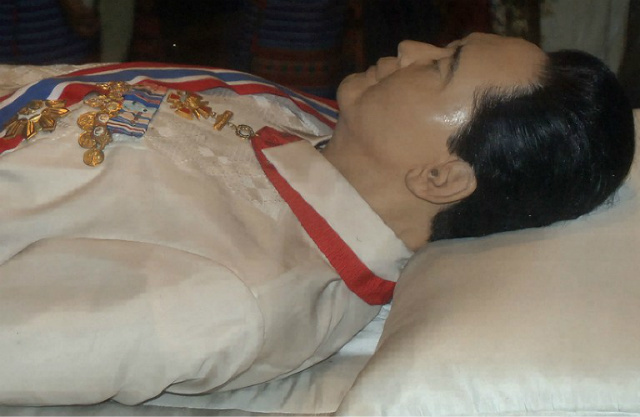 A staff member of Ilocos Norte Governor Imee Marcos, the late dictator’s daughter, told GMA News that the figure displayed in the mausoleum was only a replica of Marcos’ original body covered in wax.